For more than 30 years, doctors and clinicians have used Jim LaValle’s breakthrough Metabolic Code to help individuals achieve their wellness and weight loss goals. Now, through an exclusive licensing agreement, REVOLISM brings the power of the Metabolic Code to an exciting and dynamic wellness and weight loss franchise. REVOLISM is an innovative approach to wellness and weight loss that assesses the whole person — not just one aspect of their lives or lifestyles. Customers pay an affordable initial fee of $99 to complete our proprietary, 100+ questions assessment, which combines with in-depth clinical lab work to measure and track a client’s metabolic processes across more than two dozen measurements. We then custom-tailor high quality all natural supplements and nutritional products to address areas that need improving while maintaining metabolic processes that are running optimally. Supplements arrive automatically each month, generating recurring revenue for the wellness coach. A state-of-the-art mobile app tracks progress along the way, while you provide your clients with the ongoing support they need to unlock the power of their metabolism to bring sustainable wellness and weight loss to their lives. 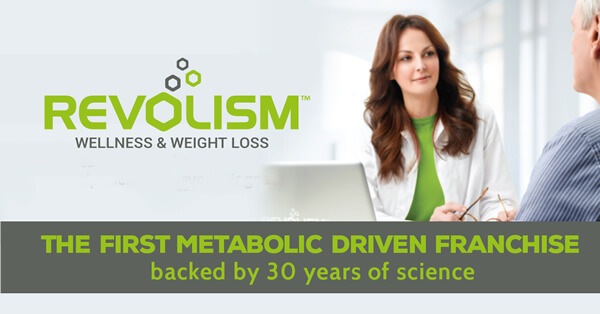 REVOLISM franchise takes the #1 wellness and weight loss program out of doctors’ offices, puts it at your fingertips and is head and shoulders above the competition. No other wellness or weight loss system can provide the level of information, the depth of personal analysis, coaching, or the results that come with targeted supplements. 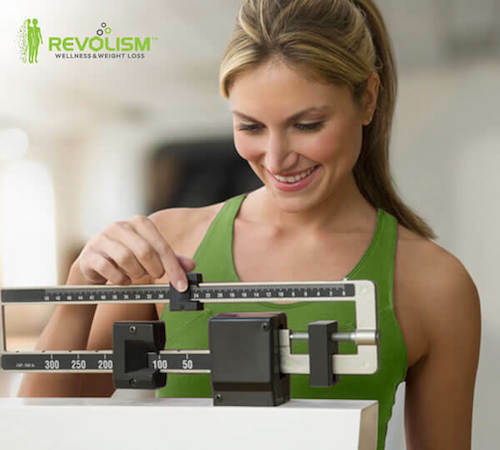 REVOLISM is at the forefront of the coming wellness revolution, making now a great time to join our franchise. The success of REVOLISM’s approach lies in its reliance on the Metabolic Code and the customized supplements created to address the deficiencies the code reveals. This is something woefully absent from other wellness and diet plans. 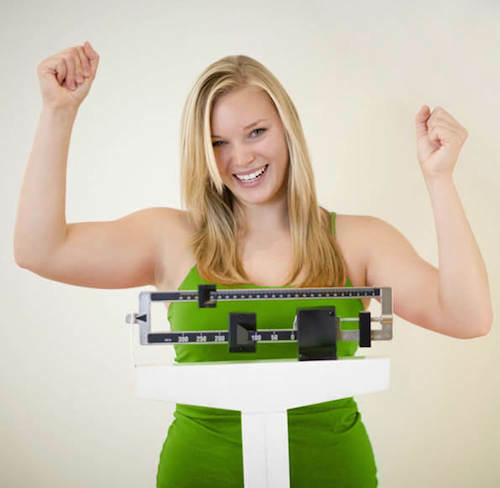 Fad diets may produce short-term results, but eventually the underlying issues in an individual’s metabolism return. Because REVOLISM addresses those underlying issues first, results are dramatic and sustainable long-term. And these results are only available through REVOLISM wellness and weight loss coaches. 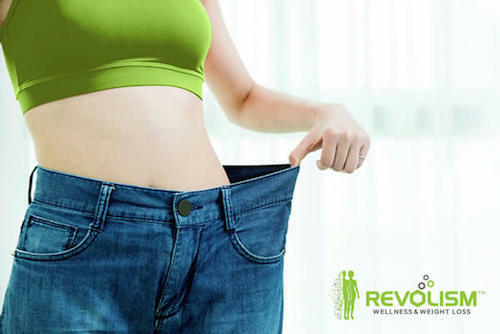 Tap into the growing demand for long-term wellness and sustainable weight loss with a REVOLISM franchise, and you’re creating a business that changes lives with more than 30 years of proven science. Thousands of consumers have benefited from the Metabolic Code system, a service only available through doctor’s offices. Today, REVOLISM brings this service through our franchisees. REVOLISM offers a quick ramp-up time to allow for a potentially faster return on investment, and you’re never without the support, knowledge and training you need. To find out about the support we provide franchise owners, continue reading. Every new REVOLISM wellness and weight loss franchise owner will undergo rigorous training from industry-leading experts in wellness, weight loss, management, marketing and sales. In addition to working with REVOLISM, these individuals are integral parts of Metabolic Code Enterprises — the organization Jim LaValle founded to support development and application of the code. REVOLISM combines in-person training with a comprehensive online continuing-education program in cooperation with George Washington University’s Integrative and Metabolic Medicine program. Franchisees who successfully complete REVOLISM’s training will be certified by GWU. After training is complete, franchisees will have all support materials and the technology infrastructure they need to successfully launch and operate their business via our online system. REVOLISM is a turn-key business based on technology and subscription supplement deliveries, which means you can focus on growing your client list without having to worry about the complications that come with a traditional business. Owning a REVOLISM franchise doesn’t require a medical degree or healthcare training. Are you a people person with a strong desire to help others and an entrepreneurial drive to succeed? Then you’re the ideal REVOLISM franchisee. We are seeking business-minded professionals who will make a daily commitment to growing their business through networking events, online engagement and face-to-face contact. A successful certified wellness coach enjoys working within the community and thrives on the pleasure of putting smiles on people’s faces as they work with them to achieve their personal wellness goals. At REVOLISM, our passion is for science and helping others, unlocking along the way secrets to lifelong wellness and sustainable weight loss. While we’re committed to building revenue, our first and foremost aim is to help our clients achieve their goals. Commitment – REVOLISM is a new franchise with wide-open growth opportunity in the U.S. market. Successful franchisees will have a commitment to growing their business by helping their clients reach optimal wellness and sustainable weight loss. Business experience – Area / Exclusive Franchise candidates should have some type of business experience. We prefer to work with candidates who have management skills, although not necessarily in the health care or medical field. Virtual franchise candidates are not required to have any business or management experience. Passion – Franchise candidates should have a real passion for helping people. We want to work with franchise owners who are excited about the potential to make money while helping people become their best possible selves. Involvement – Franchise candidates should be managing their businesses hands-on. REVOLISM isn’t a business for absentee owners. While you don’t have to work 24/7, you should make daily sales goals and work to achieve them. You should also be enthusiastic about promoting your business within your community. Bring REVOLISM To Your Community! With the total investment to launch a virtual franchise starting at just $10,000, REVOLISM is a low-cost investment opportunity with potential for high returns. The wellness industry is booming and REVOLISM offers a quick ramp-up time to allow for a potentially faster return on investment.